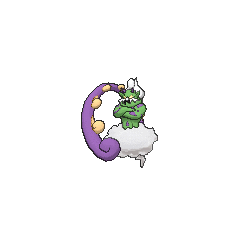 Tornadus Therian in game: 316 Who? Important notice! Pokemon Tornadus Therian is a fictional character of humans. 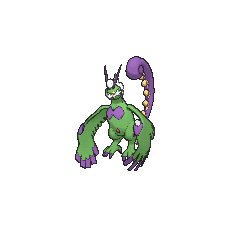 Tornadus (Japanese: ????? 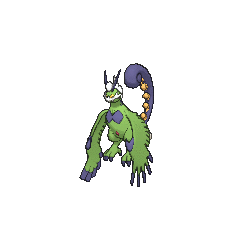 Tornelos) is a Flying-type Legendary Pokémon introduced in Generation V.
A Tornadus debuted in the main series in Stopping the Rage of Legends! Part 1. He appeared in Milos Island's legend and then attacked unexpectedly when Ash, his friends and Lewis tried to summon Landorus. 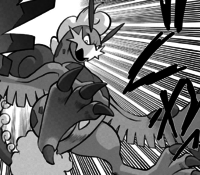 Once Thundurus appeared, the two engaged in a fierce battle. He then appeared in Stopping the Rage of Legends! Part 2, where he ultimately was calmed by Landorus. 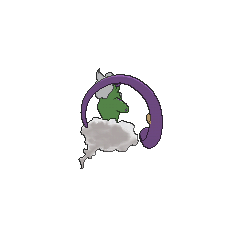 A Therian Forme Tornadus appeared in the Hoopa's Surprise Ring Adventures short Flying in the Air. 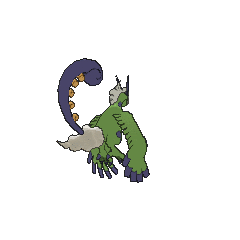 Tornadus made his debut in a cameo appearance in the credits of White - Victini and Zekrom. 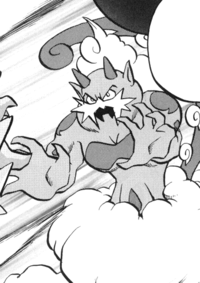 Tornadus, along with Thundurus and Landorus, is captured by Giallo in the Pokémon Adventures manga. He was first seen battling with Thundurus at the Battle Subway before his capture, and was later given to the Shadow Triad to be used to battle the Gym Leaders at Nacrene City. He made another appearance at the Pokémon League under Hood Man's control. In every direction it flies, composing winds so powerful, they blow everything away. 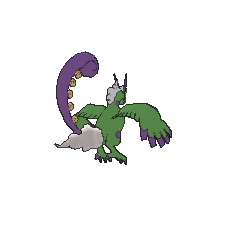 Tornadus is the only pure Flying-type Pokémon. 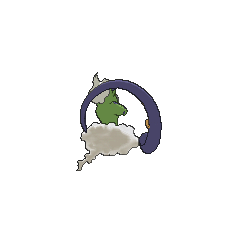 However, other Pokémon are able to temporarily become pure Flying types through their Abilities or moves, such as Kecleon and Arceus. This makes it the only known Pokémon with no weaknesses while Delta Stream is in effect in both normal and inverse battles without changing its type. Tornadus and Thundurus have identical base stat distribution in their Incarnate Formes. 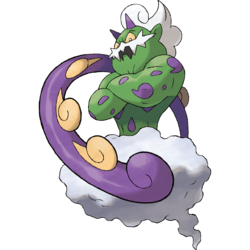 In Incarnate Forme, Tornadus may be based on Fujin, the kami of wind. It may also have drawn inspiration from genies. Mandarin Chinese ??? / ??? Lóngjuanyún Means "Tornado cloud"